What is happiness and how can you have more? Read Dana Gee‘s “The Real Road to Happiness” to find out. It turns out that optimism is paramount, genetics play a role and having a healthy diet is a key ingredient to the coveted state. 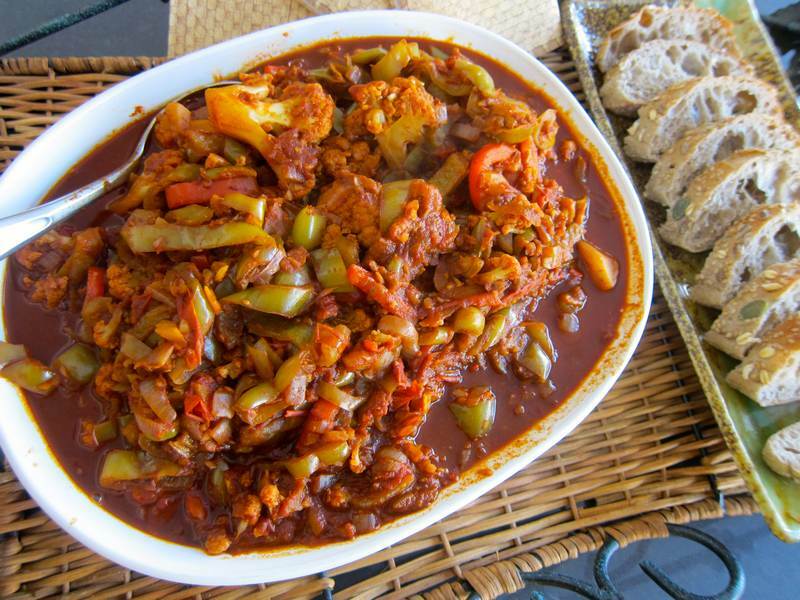 To give you a boost in your quest for great health and happiness, here’s one of Dr. Joe Schwarcz’s favourite dishes—Hungarian Pepper Stew. He is Hungarian and he extols the virtues of this low fat, high taste dish. And, it’s ready in half an hour! Heat olive oil in a large pot on medium, and cook a chopped onion until it’s translucent. Add all other ingredients and cook, stirring occasionally. Serve on spaghetti squash or with fresh bread. Traditionally served as a vegetable side dish, appetizer or the main meal. 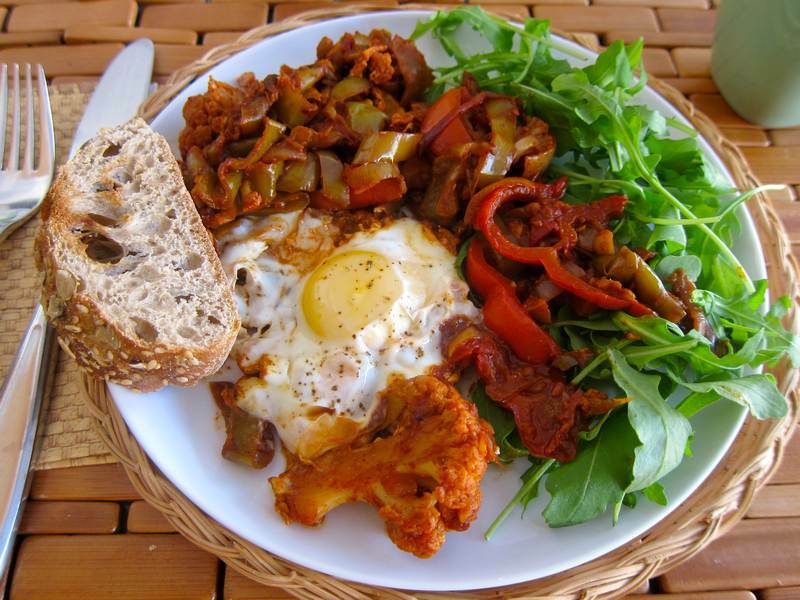 Good cooked with sliced Hungarian sausage or cooked with a fried egg. Serves 6-8. Thank you, Caryn Roll, for suggesting that I make this original tasty dish! If you want a more personalized happiness profile, you can rate yourself on Dr. Martin Seligman‘s Authentic Happiness Questionnaire. And speaking of Dr. Joe Schwarcz, you can join the free McGill online course he’s co-teaching, Food for Thought (CHEM181x), to learn the latest about healthy dietary choices. Go see the Peter Doig exhibit at the MMFA. My good friend, Sonia Ribaux, did, and it inspired her photography on Clicking 50. Don’t miss Nebraska, starring Bruce Dern and Will Forte. Poignant, heartwarming, exquisitely filmed with flawless acting—It’s a giant of a film, dwarfed by all the gangsta glamour movies on offer. Holly — I’ll be sure and order Hungarian stew when I visit Budapest in early April. Nice post/recipe. In my next life I want to be you! Thanks for liking! Be sure to post your version of Hungarian Pepper Stew after tasting it in Budapest. I’ll bet it’ll contain a more luxurious amount of olive oil to bind it together than this low fat version. Health vs taste. Who wins? This looks fantastic! 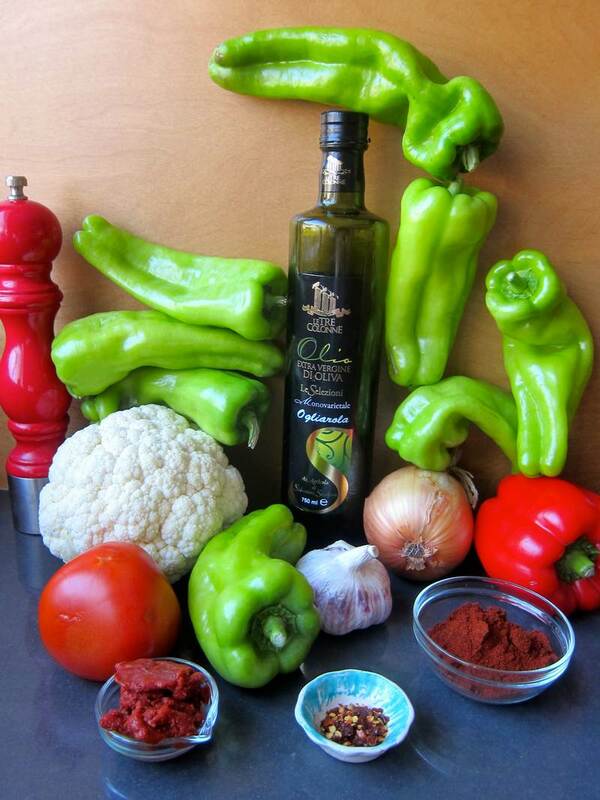 I wish I knew where to get those beautiful light green peppers. I could always replace them with bell peppers, but I am sure it wouldn’t be the same! I bought these beauties on Victoria Street just south of Van Horne. 2 for .99. Will definitely give this recipe a try. Joe’s recipe uses baby red potatoes as well as green beans. I think the cauliflower in your recipe is a great addition. I was pleasantly surprised at how flavorful the Hungarian paprika is. Great recipe and I will bookmark this for when peppers are in season here. I usually have so many, I am looking for different ways to cook them. Thanks for liking. I’ve been eating these peppers each day and still enjoying.